St. Patrick’s Day Blog Hop: Siamsa Time! Welcome to my stop on your St. Patrick’s Day Blog Hop! I’m thrilled to have you here! My grandfather was Irish (my maiden name is Maher), and I’ve always been proud to have a bit of Irish in me. I’d always wanted to try Irish step dancing, partly due to heritage, and partly because it just looks and sounds so very cool! A year ago on March 15 (oooooh, Beware the Ides of March), I blew out my knee during a taekwondo class. After surgery to replace the ACL and six months of rehab, I decided it was time for a new activity. After years of suggesting Irish dance as a mother/daughter activity to the Princess, she finally gave in, and we joined a school. I’m not fantastic at it yet…still have a bit of trouble translating the steps from brain to feet! But it’s enormously fun and I only wish I’d started years ago. To celebrate St. Patrick’s Day this year, I’ll be dancing in my first Siamsa (pronounced SHAMsuh, it’s basically a big Irish party), with hundreds of other dancers, musicians, and assorted folk turning out to celebrate the day when everyone can be Irish! How will you celebrate? 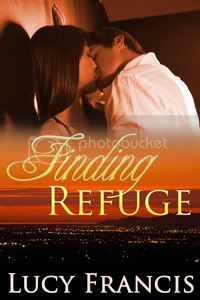 Leave a comment for a chance to win a $10 Amazon gift card from me, and to have a shot at one of the hop’s Grand Prizes: Your choice of a Kindle Fire or Nook Tablet, or your choice of a $90 Amazon or B&N Gift Card! I would have thought Irish dancing would be hard on the knees since both feet are occasionally off the ground and landing would exert a lot of pressure. I guess not since you’re able to do it. Glad you found an activity that you find fun. I’ve found that my ankles are more affected than my knees in dancing. The knee is strong though…amazing what a brand new ligament can do for you! I’d love to learn Irish dancing too. It’s very cool that you got into that. I enjoyed your post and your story recipe! Good luck with your Siamsa! I love watching Irish dancing. How fun to be learning something that you’ve always wanted to do! Getting exercise in a way that you enjoy! So cool! Have a great time!! Enjoy your Siamsa! I wanted to learn how to Irish dance too. It seems like a lot of fun. Hope the knee is back to 100 percent. Congrats on getting to do the Irish Step. I just don’t think I have the endurance for it. Happy St. Patty’s ! Slainte!! That sounds like a lot of fun! Happy St. Patrick’s Day! You’re braver then me I can’t dance to save my life lol. I hope you have tons of fun at your show. I will be going out with friends on saturday. My grandfather was from Dublin, because of that, I was able to enter the Rose of Tralie contest. I won it for my town. Love that story of opening the pub and dancing! In my head, I can dance really well, but the feet don’t always process what the brain is telling them. Thanks for stopping by! I’ve always wanted to learnto dance but I have terrible knees not to mention awful coordination. I would love to learn to dance like that. (My son does 3 different martial arts and has been hurt several times. I wish he would find a different hobby,too). Debbie, none of my sons did martial arts, but one does parkour, which scares me to death, and another played football, breaking one arm and needing to rehab one knee as a result. I often wished they’d pick something safe, like painting, LOL. Thanks for commenting! Good luck with your Siamsa! and happy st patricks day. That sounds like a lot of fun, hope you have lots of fun at the Siamsa. I have always liked dancing yet I didn’t really do much of it. I wished I’d have had the chance to take lessons. Ah well, best of luck at the Siamsa. I don’t really celebrate with anything special, just wearing green on the big day. We don’t celebrate St. Patric Day in my country, so I don’t have anything personal to share. My knowledge comes from TV relations from other countries and is limited to drinking and singing people wearing funny hats. The ‘wearing green or orange’, ‘corned beef and cabbage ‘ – today is first time I’m hearing about this. One thing that’s universal I think is a clover (especially four-leaf one) as a symbol of luck. I loved looking for them as a child. Thanks for the comment, Na! I really enjoyed writing the CEO rancher, so I hope readers love him as much as I do. Mending Fences sounds like a fantastic read! I’ll be with friends doing an “Irish Whiskey Night”! Thanks for the comment! Enjoy the Irish Whiskey…cheers! I will celebrate by watching the St.Patrick’s day Parade! I love Irish step dancing! Happy St. Patrick’s Day and thanks for the giveaway! Have fun dancing; sounds like you will have a blast! Nothing special going on here although we will probably do the traditional corned beef and cabbage! Thanks for hopping with me today! Good on you for trying something new, Lucy. Is your daughter enjoying it too? Thanks for the comment, Shelley. My daughter loves dancing too, so it’s been a great activity for us. Wow, you’re brave. I don’t know that I could ever get myself up on a stage to do that, no matter how much I wanted too! Good luck at your first Siamsa! Hi Ashley. It helps that there’s lots of us dancing. I think if I ever had to do a solo or very small group performance, I’d panic! Thanks for the luck! Thanks for the giveaway and happy St. Patrick’s Day! Your book sounds wonderful! Happy St. Patrick’s Day! I would love to learn how to Irish dance! We are all dressing in green and going to my mom’s house for corned beef and cabbage. Thanks for the giveaway, and Happy St. Patrick’s Day! I have no dancing ability! Thanks for the giveaway! Hope I win! I am Irish on my dad’s side of the family, he came from Donegal, and on my Mother’s side, I am Scotish, her father came from Glassgow..I took Scotish dancing instead of Irish Dancing… I admire you for doing this.. It is not easy, but rewardng.. I know a few steps, but not all the patterens..
Oh, I love the Highland dancing too! Our neighbor’s daughter did that for years, and I love to watch them perform at the Highland festivals. It is hard work, but it is so much fun! I love to watch the Irish step dancing…it looks SO complicated ! 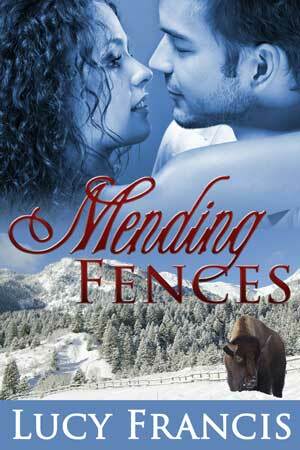 Wow, I have just added Mending Fences to my TBR list. Thank you for that! Thanks for the lovely comment about Mending Fences, Shannon! That made my day! I’ve always loved ballroom dancing, but I was never any good at it. Maybe I’m just more determined to make dancing work now, LOL. I will be wearing a green top. congrads on getting to do the irish step! Awesome contest!! I hope you have a great Saint Patty’s Day!! I will wear green & my shamrock pin. Tonight, I made corned beef reubens for dinner. I might have a beer…but it won’t be green. It will be amber. Sounds like great fun. Enjoyed reading the comments. I was watching Riverdance the other night and my 3 grandkids, under the age of 5, were trying to dance like they were. I must say they did a much better job than I could have. Oh, I bet that was adorable to see, Sue! Riverdance is so infectious, it’s hard to sit still when you’re watching it. Thank you for sharing and for the giveaway! Happy St. Patrick’s Day! Thanks for the giveaway! Have a super nice St. Patrick’s Day. What a great teaser for Mending Fences. Looking forward to reading it. I love cowboys in a romance storyline.